The first week of 2018 is locked down and production of Long John, chapter 3 is well underway. To keep focused and motivated, the following have been used as aids. It was a wild week, personally, as the social media for my favorite band, Twisted Sister, posted the drawings I did of the band for previous Sketch Fridays. It was a humbling experience, to actually interact (as much as it was) with the fan base of that band––an activity I generally stayed away from, mostly because my love of the band was so personal and private and, most importantly, started after the band had broken up (the first time). The response was completely positive and it warmed my heart knowing I had made something that “true” TS fans liked. It was so popular, it got me to join Instagram. I’m an admitted True Crime fanatic. Luckily for me, the world of podcasting has also been bit by the True Crime bug since, at least, NPR’s first season of Serial. My True Crime romance extends far back before the podcasting Renaissance, however, as it is actually a nostalgic venture. When I stepped back to realize how much of this stuff I was listening to and watching (through podcasts, documentaries, etc. ), I fretfully wondered, “Why do I like this stuff?” The answer was something personal––it reminds me of growing up. My mother is a retired correctional counselor from a medium security prison, meaning many of her cases ran the gamut from those who committed fraud to many who committed murder. Listening to podcasts about crimes and cults and murder takes me back to my youth, when my mom would tell me about her day, and it warms the heart a little because that language––speculation, compassion, and analysis––is the first contextual language I learned to speak. 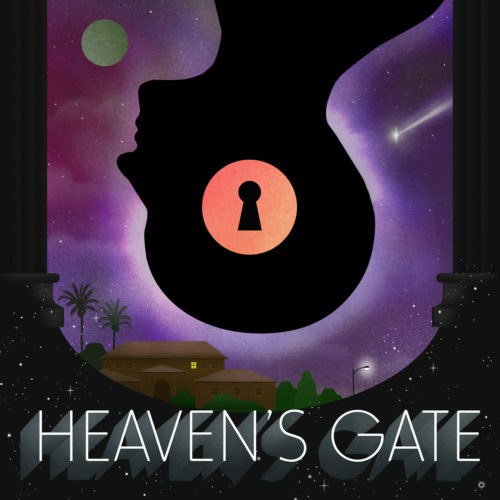 Stitcher’s Heaven’s Gate podcast is fascinating for the same reason that American Crime Story: The People v. O.J. Simpson fascinated me: it was a look back at a big story that I remembered happening. What makes the podcast fascinating is that the host, Glynn Washington, was raised in a cult himself; so, the podcast is as much about taking a rational, historical look at the Heaven’s Gate cult as it is Washington rationalizing his own childhood. For those whom such a conceit worries, don’t; the podcast focuses more on the subject than the host. I’m riveted, either way. I don’t want to get ahead of myself, but I’m excited to receive this and literally can’t wait to dive into this text; so, this week it’s a more of a “Want to Be Reading” rather than a “Currently Reading” subtext. The anime of Battle Angel was a foundational text for me. It was actually a collection of two thirty-minute episodes, a straight-to-video adaptation of Kishiro’s manga (Japanese comic, for those who don’t know), and it was unlike anything I had ever seen before. Ostensibly owing to the aesthetics of something like Blade Runner, Battle Angel was different in that it (for one) took place during the daytime and it was dirtier and more fully fleshed-out. 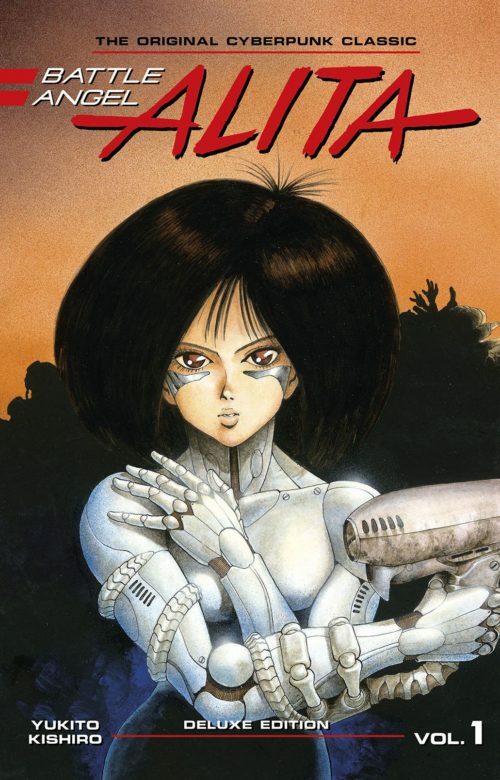 The world of Alita (the protagonist, called Gally in the original Japanese) was thoroughly developed even though it was told through insinuation and context clues. It was a story of class and identity, of growing up, of love. As a whole, the stories were a seamless blend between Sisyphean struggle and earnest hope that––especially in the ’90s––was a different take on a dystopian future than I was used to seeing (usually, it was all grimdark action). With the announcement of the live-action film adaptation coming this year, I decided to look around and see what the availability of the original manga was. I had the first two original US printed volumes of the comic (the ones the anime was based on) and I saw that the wonderful publisher, Kodansha, had released “deluxe” versions of the Battle Angel Alita comic in 2017; so, without hesitation, I picked up the first volume of the hardcover edition and am eager to crack open its pages and dive back into that world again. That’s not the cover, but it is an important moment from the upcoming chapter. 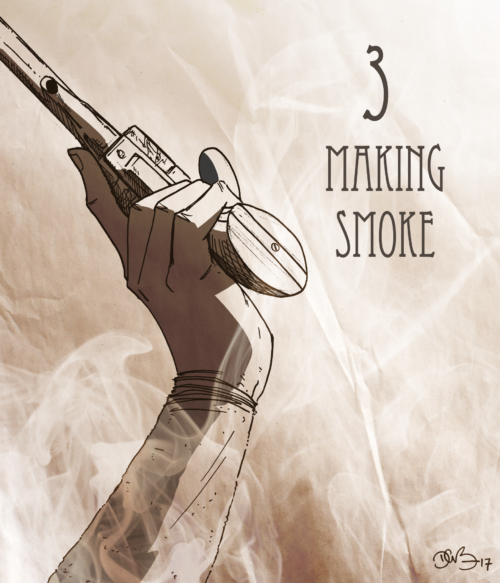 I’m nearing the end of drawing “Making Smoke”, so I can finally see the light at the end of the tunnel and we can keep moving forward. Come back soon for more info and, until then, that was The Week.